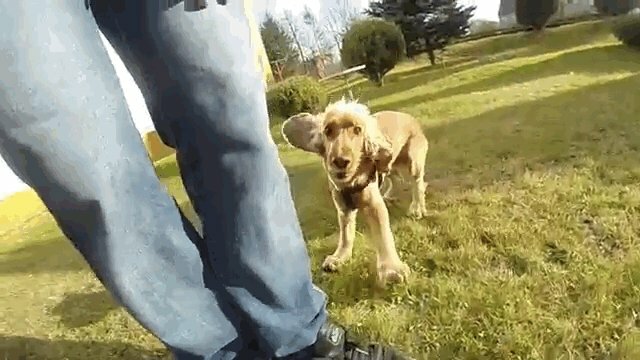 There are plenty of GoPro videos of dogs playing outdoors, but this one stands out in its side-by-side speed comparison. One man captured his spaniel running circles and nipping at his heels as they tore through the yard together. Then he put it in slow motion. The speed -- and the joy -- of the dog come through and the resulting pure, unadulterated canine joy is captured frame by frame.